Personal Assistants won a huge victory last month in reaching agreement over the release of raises and back pay that was withheld for twenty months and ending enforcement of the dangerous DHS overtime policy. But we have more work to do! 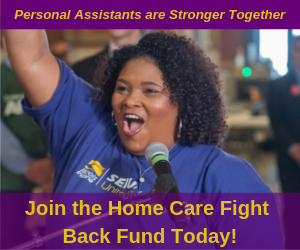 Now, we’re looking ahead to win a raise for ALL home care aides this legislative session, and to gear up for contract bargaining for PAs. 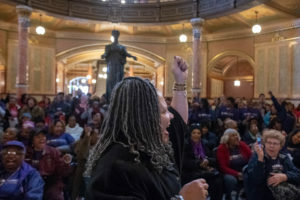 Come together with fellow Illinois home care workers to hear more on the latest updates and SHARE YOUR IDEAS on how we can create a stronger Illinois home care system for seniors, people with disabilities, and workers!